Oh well. A dilemma for another day! Today, I am cleaning out my purse and work desk to figure out what my 5 favorite snacks are! I have my guesses…but maybe doing a little clean up will help me with narrowing down my choices. Whether snacking on the go, snacking at work, or something to tie the kiddo over until dinner, I always have some kind of snack on hand! Looking for a limited number of natural ingredients? These bars are my all-time go-to for snacking or fueling on my longer runs or races! The super simple ingredients always make me want to make my own…but I never do! These 2-6 ingredient bars are made with dates and additional mix-ins. My three favorite flavors are cherry pie, lemon, and key lime pie! While the more “chocolate” flavors are great, I like keeping around the “fruity” flavors for grab-and-go for my long training runs. Want to see the bar before the SURPRISE when you open it? These bars are great for the person that wants to SEE what they are eating. The packaging is great because you can read about the ingredients on the FRONT of the bar and actually SEE what the bar looks like in the clear window – dark chocolate, toasted oats, quinoa, almond butter, nuts, seeds, etc.! Looking for a vegan snack with a variety of flavors? I am not vegan, nor will I ever be (I love those meats too much…), but I am all about supporting companies that are sensitive to the environment, gives back, and family owned! GoMacro bars are a great, high protein snack on the go! Are you low carb or low sugar and need some extra protein? 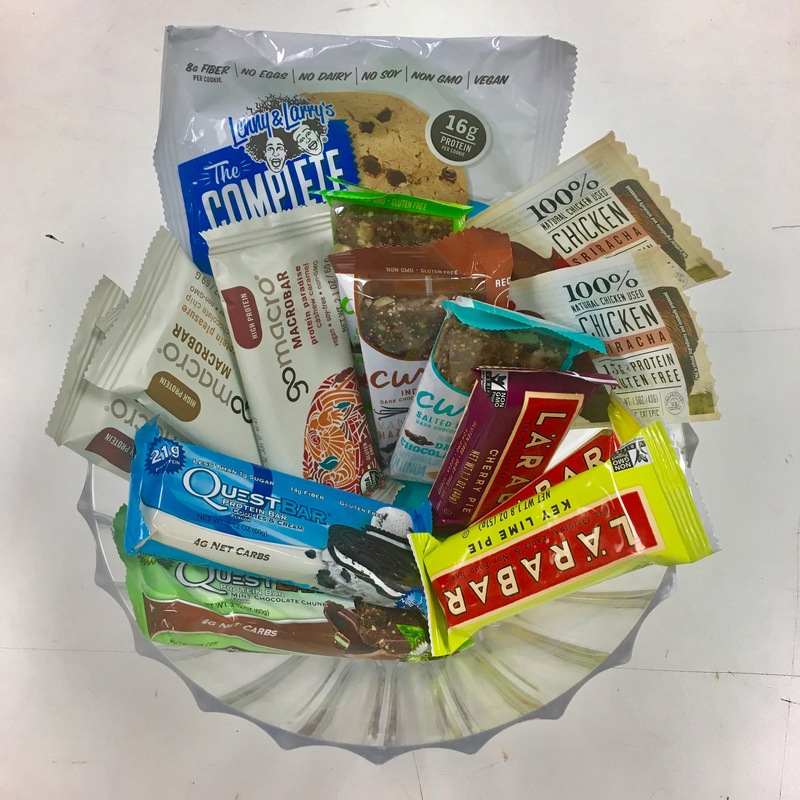 While the Lara bar (first on the list) is a great snack bar, I reserve the go-to protein bar to my Quest bars. I keep at least one in my purse and a couple at my desk. Quest bars are great for my post-workout slump or to add some protein to my day. The bars feel more like a snack most days; and with 20g of protein, 15g of fiber, less that 1g of sugar, I know that I am fueling myself well! While my go-to flavors are not the most healthy sounding – mint chocolate chunk and cookies and cream – these bars are great for the person watching their carbs and sugar consumption. No eggs. No dairy. No soy. Non GMO. Vegan. 16g of protein…I am liking this!! 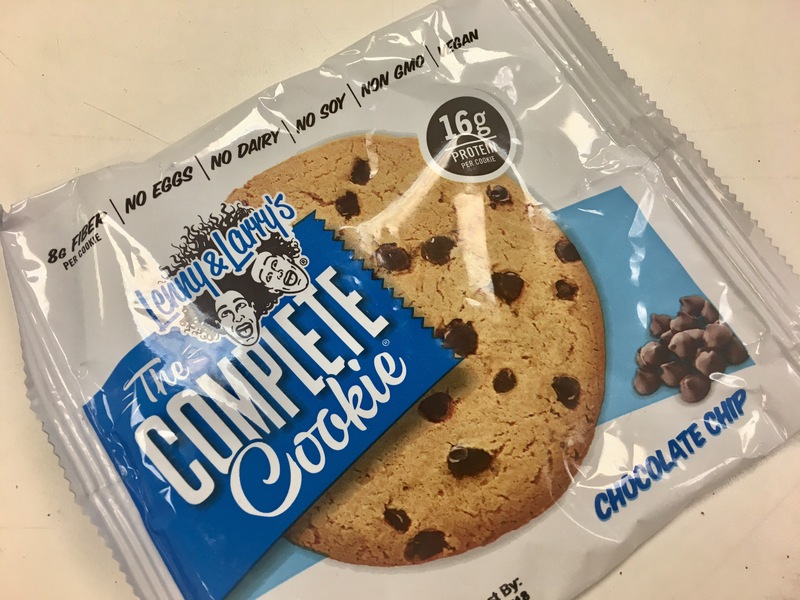 I have tried a couple of Lenny & Larry’s cookies, and they are a great snack when I am simply craving a cookie – a really large cookie! With all the gunk that is in baked goods today, it is good to see that L&L’s is trying to keep their product free of high fructose corn syrup, artificial sweeteners, sugar alcohols, and without all the STUFF stated before. Going the jerky route for added protein? For the extra protein boost, I enjoy the EPIC bars! I ate these more when I was trying to eat more Paleo based…but they are still great anytime! Move over plain beef jerky, EPIC bars come in a variety of “meats” and flavor variations! I picked up some Chicken w/sriracha and WOAH it had a kick! I enjoy that I can read and understand all of the ingredients on the package…simple, wholesome, GOOD. 100% meat of choice (beef, chicken, turkey, bison, venison, bacon, boar, etc.). With lots of protein and gluten-free, the EPIC bar is a great choice for many! 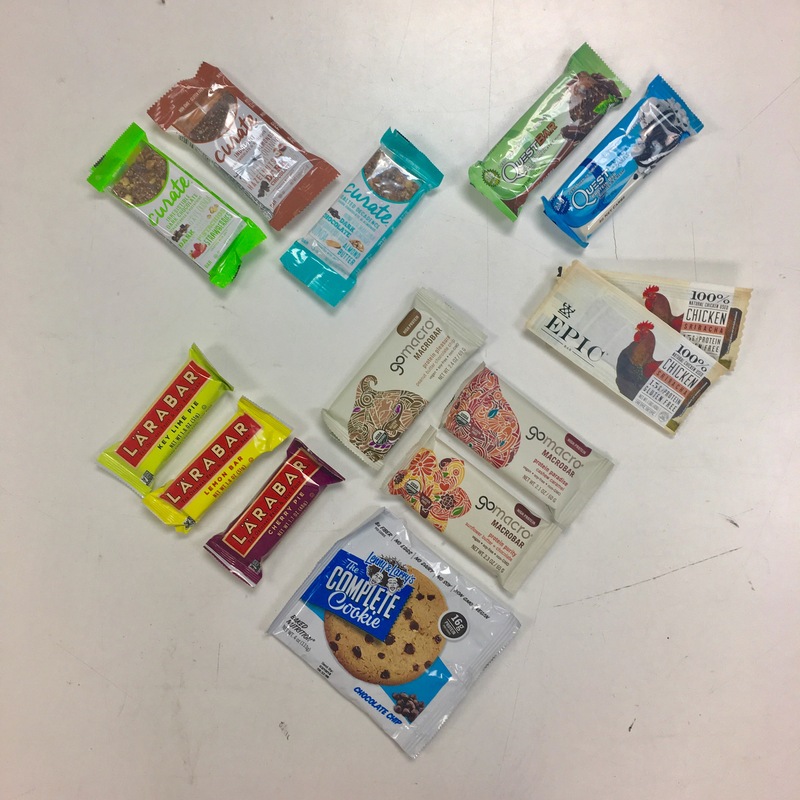 There are so many more snacks around – Wildway (nut-free oatmeal & granola), mini bags of nuts (protein & fats), ThinkThin bars (protein & fiber), Nuun Hydration (not just a snack; but all day, every day), and tuna. Why are these snacks better than other choices? This post contains some Amazon affiliate links – if you purchase from these links, I will get a small kickback for my referral. This helps me keep doing what I love – running and spending time with my family 🙂 Happy blogging!! I end up snacking on fruit gummies a lot but i’ve tried to cut back cus I imagine there is more sugar in them than I would like! I’m a big snacker. Yet I’ve never tried any of these before! Crazy. I love Larabars but haven’t had the others. The Picky bar is really good too! I really need to stock up! I have hear great things about Picky bars – I have yet to try them.